Today, there is a trade show for basically every single industry. From pharmaceuticals to technology, weddings or maybe restaurants, trade shows are events in which a business can get to interact with existing or new, potential customers. Attracting consumers among hundreds to thousands of competitors is the main idea of a trade show, and what every business should be aware of is that there must be a way for it to stand out among the competitors. So, what’s the secret to a successful trade show display? 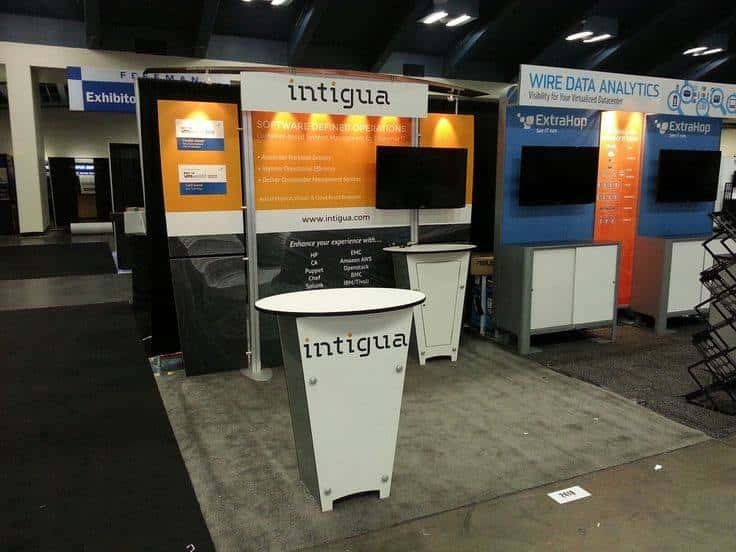 How to make the most to stand out in a 10×10 trade show booth space in San Diego (CA)? Telling a unique story can definitely help hooking potential customers. After all, every brand is unique, and you must get to the part which carries your main idea and the story of your brand. The marketing strategy should be as much cohesive and precise as possible, while creative and interesting for any visitor. And if you think creativity and originality of a trade show are light bulb ideas that may happen in your head, that is far from true. For a trade show display exhibit to be successful, having a careful planning process and calculated execution are both vital parts of the whole approach. Standing out the crowd must be outlined well before the event itself, with activities such as promoting attendance, networking during the event or maybe post-functioning on every lead you gather. The creative tactics of a trade show booth itself are in a tight bond with clarity. That is the main reason why your trade show booth must catch the eye of any visitor and stand out with its bright colors, purposeful handouts and concise messages. Another great incentive is to offer an extra product from you. Whether it’s a pen or a notebook, your company has to enter in the heads of the potential buyers, directing traffic in your direction. Robotics, presentation screens and product display sets also help in achieving a positive effect at the visitors without too much flash or distraction.